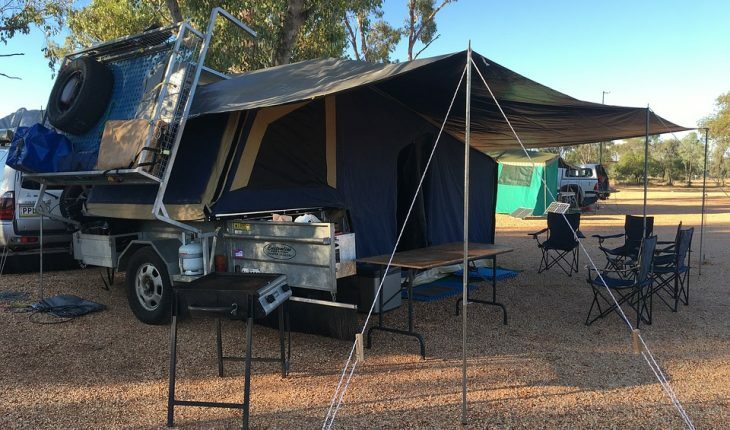 If you are preparing for a camping trip soon, it is best to check your camper canopy early on. Being not in use for months, camper canopy will become moldy especially if you just store it away without cleaning it after your previous camping trip. Then cleaning your camper canopy will be your first priority for your upcoming camping trip. 1. Move your camper canopy to a large space where plants, furniture, and other belongings are not within the awning area. The use of water and cleaning agents may cause damages to your belongings if not move out from the place of cleaning. 2. Check the weather first and make sure that it’s not raining on the day that you’re cleaning your camper canopy. Camper canopy needs to be dry before keeping it away for future use. 3. Protect yourself especially if you are sensitive to the cleaning agents you are using. Wear goggles to protect your eyes from water splashes and rubber gloves for your hands. 1. Cleaning your camper canopy is a lot easier if you work on it section by section like a three-foot section at a time. Begin while the camper canopy is still in its retracted position and pull out about three feet of it. Once you’re done cleaning the first section, move to the next section until the entire camper canopy is fully cleaned. 2. If your camper canopy has pollen, dirt, and other common trash, the use of warm water with mild dishwashing detergent is all you’ll ever need. But if there are molds and mildews present, cleaning your camper canopy with a diluted bleach solution or a commercial mildew cleaner is a requirement. 3. Wet the section that you are cleaning with water using the water hose. Once wet, apply the cleaning agent on the surface and scrub it with a soft brush. Let it stand for about 10 minutes and rinse it with clean water. Let it stand again for a few minutes and rinse it again with clean water the second time around. Let the camper canopy be completely dry before retracting it to be keep safely. 4. Cleaning your camper canopy with water and detergent is not enough to prevent the mildew from coming back. You need to wash your camper canopy with a mixture of white vinegar and water regularly like once or twice in each year.